When we talk with people we tend to look at their eyes. Involuntary twitches often offer a clue to deeper, unverbalized feelings . Small wonder that when we draw faces we zoom in on the eyes and we tend overdraw them. 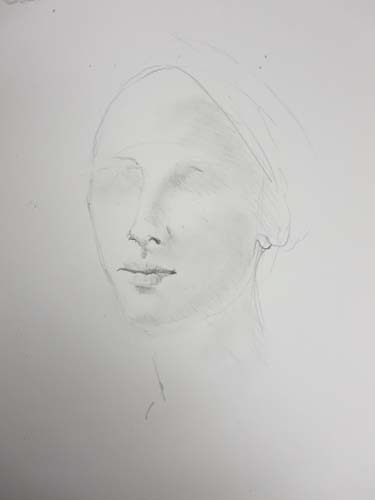 I encourage my students, when drawing a face, to put in the pupils last. 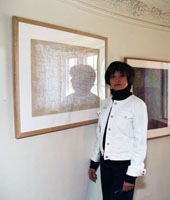 Let the other features and the quality of the markmaking itself, carry the expression. Put in the pupils with a flick of the pencil. This requires self-restraint and students seem to find it hard to follow this advice. What a surprise, then, to see the above drawing in class. I asked the class what they thought of it, at this stage, without any eyes at all. Approval all around. Everyone found it moving, as is. One person said, the expression was “tentative.” A good description. 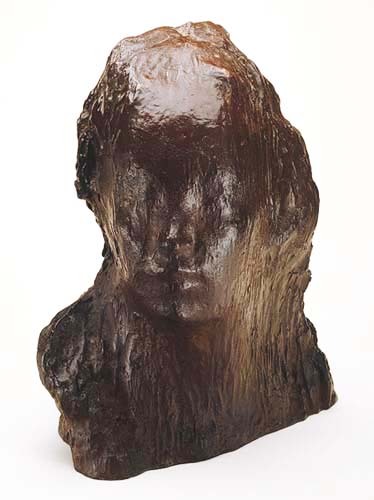 This drawing by Laurel reminded me of Medardo Rosso’s heads of children. He often sculpted in plaster and then delicately poured wax over the plaster form. The effect is one of extreme introversion. In his faces he does not emphasize the eyes, in fact he often veils them in wax. But the face does not appear “eyeless” at all. Instead the face conveys deep feeling . 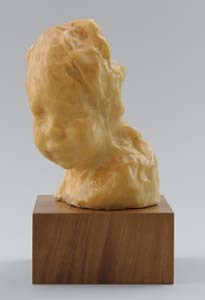 Medardo Rosso’s faces are also tentative in the sense that they appear to be quietly paying attention to everything around them.